That’s a very provocative poster that just clouds the issue and antagonizes people. It is certainly not the way to attract new people. Shakespeare may have been a pseudonym but he certainly wasn’t a fraud. I totally agree. “Fraud” is harsh. And inaccurate. I agree with Mr. Schumann. The image is great because it hides the face of de Vere. 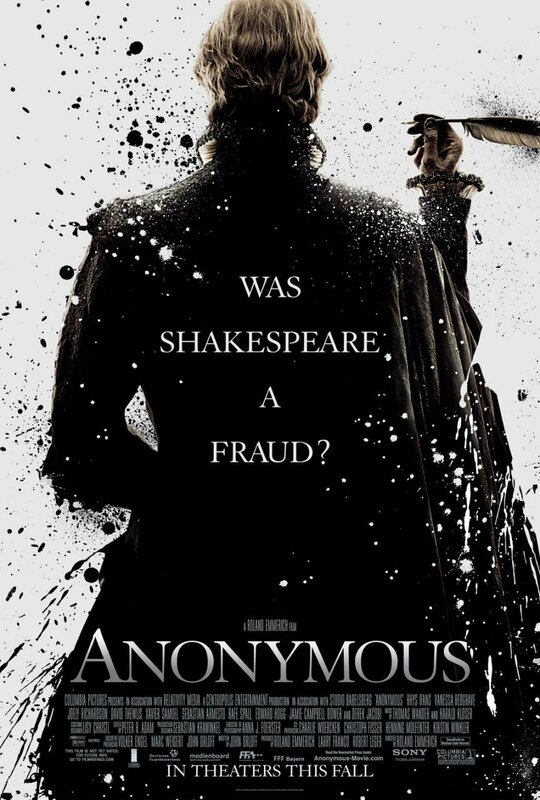 But “fraud” is not the word one uses for Shakespeare. Right. Someone in Hollywood trying to get attention and only serving to alienate … and helping to feed the idea of conspiracy. Well, I’ve seen it before. In my own case, I usually hated the designs for covers of my books. What they came up with was often the opposite of what I expected and intended. You are correct — mask. MORE on this one — bottom line is that I’m glad for something that grabs attention and then sparks interest.